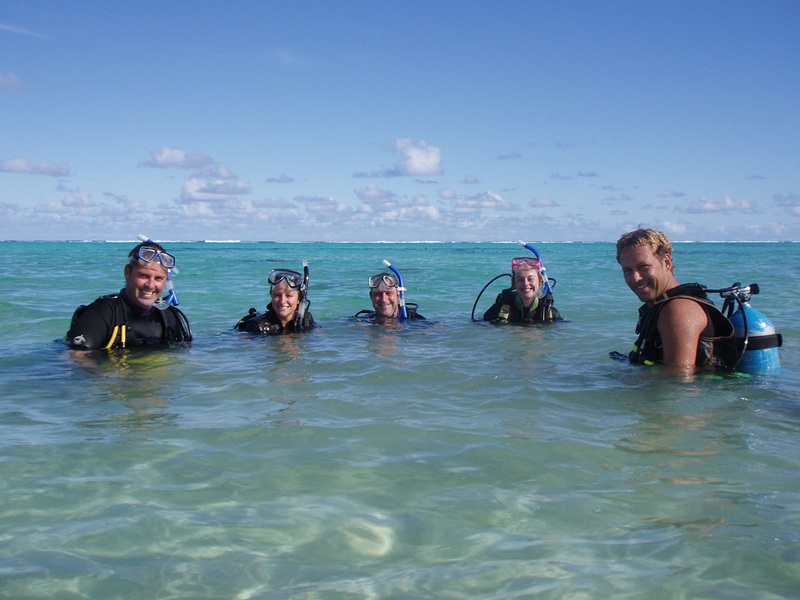 Learn to dive in the warm clear waters of Rarotonga. 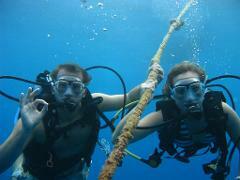 Pacific Divers is a PADI 5 star dive centre, teaching PADI courses to the highest standards. The courses are conducted over 3 to 4 days, depending on scheduling, however we are able to tailor a schedule to fit your needs if required. Our classes are small, with typically between 1 and 6 students on each course. Our instructors are experienced PADI instructors and enjoy teaching scuba. The complete Open Water course is a 2 - 4 day programme, including two class room theory lessons, 2 sessions in the pool or lagoon and 4 ocean dives. If you decide to complete the theory online before you travel select the online theory option in the booking page. We will email you a pass to access the PADI elearning system. There are now 3 options for PADI online learning, all at different price points. Option 1. Digital Cert Pack LITE. There is no additional charge on our standard course rate. You receive the Open Water Manual digital version, knowledge reviews and access to the videos online. You then complete the knowledge reviews and bring them with you. We review them, then administer the quizzes and final exam to complete the theory. as internet access here is expensive. You can also complete your PADI Open Water Course with us as a referral from another dive centre. If you have completed your theory and confined water dives before coming out you only need to register for the Open Water dives. You will need to bring your referral paperwork with you. If you answer YES to any of the question please have a doctor complete the form before you travel. If you answer NO to all questions then doctors approval is not necessary.